This tech driven appliance manufacturer needed an in-store communications device to help its shoppers figure out which vacuum was right for their specific environment. 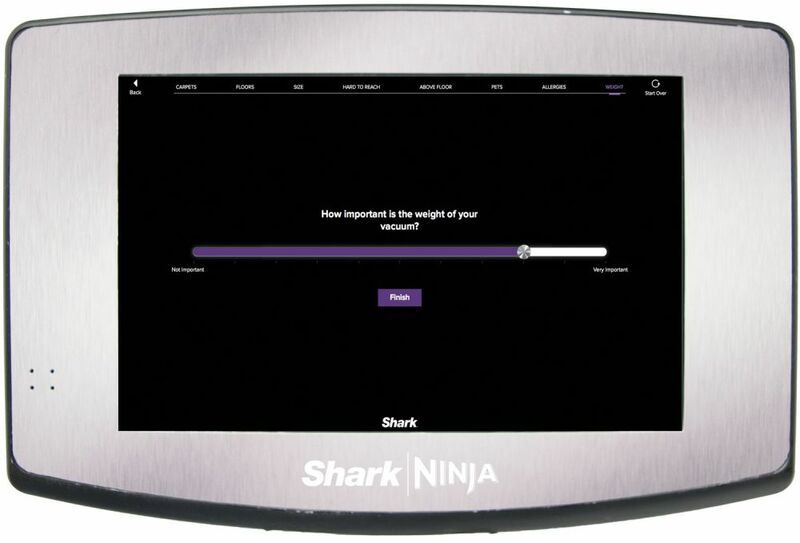 Americhip partnered with Shark Ninja’s marketing team to develop a custom app that was then housed on our 10” touchscreen connected shelf unit to help consumers find just the right product for their needs. 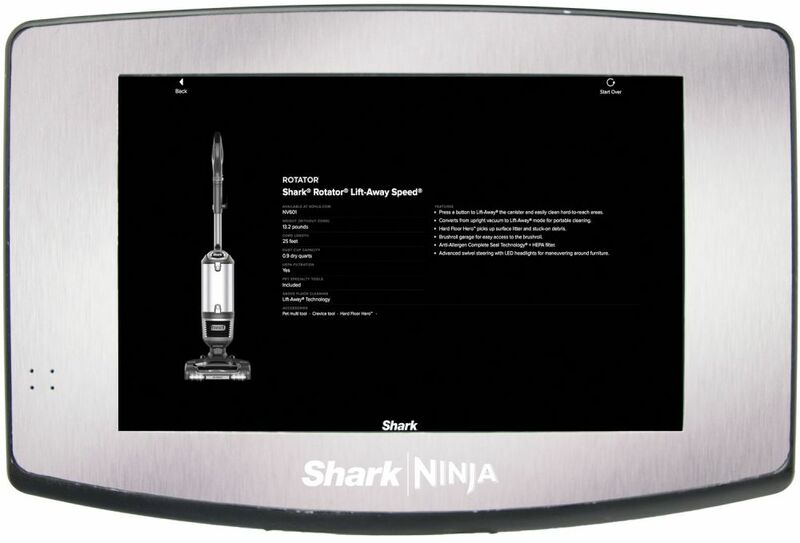 As shoppers encounter the sleek video shelf unit, they are asked to enter 5 data points about their home and cleaning needs. Based on those responses, the custom app identifies the right model for them and our device shows the appropriate photo and specs for that product. 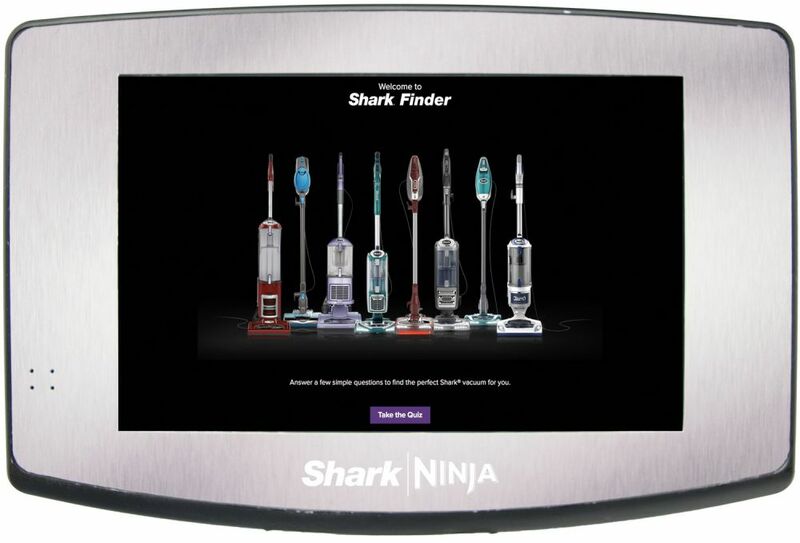 And, as these devices are connected via WIFI, Shark Ninja is able to update the content remotely and gather instore performance data. Partner with Americhip to create a connected shelf unit that helps your shoppers make the right decisions and provides you with critical performance analytics.